A basic understanding of Laravel and Angular are needed to follow this tutorial. Realtime maps have become very popular with more and more couriers, delivery and transportation services apps using them to show realtime tracking of your order or available vehicles around you. Today we will learn how to build a realtime map using Laravel and Pusher. To get started you need to sign up to a free Pusher account here. After you have created your account and are logged into the Pusher dashboard, click the Create new App button. 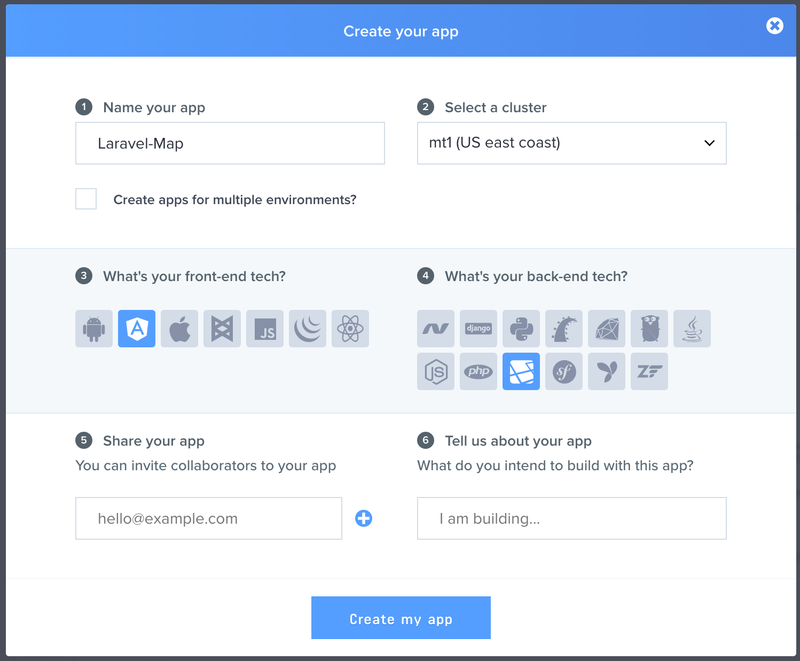 Name your new app "Laravel-Map" and select a cluster. 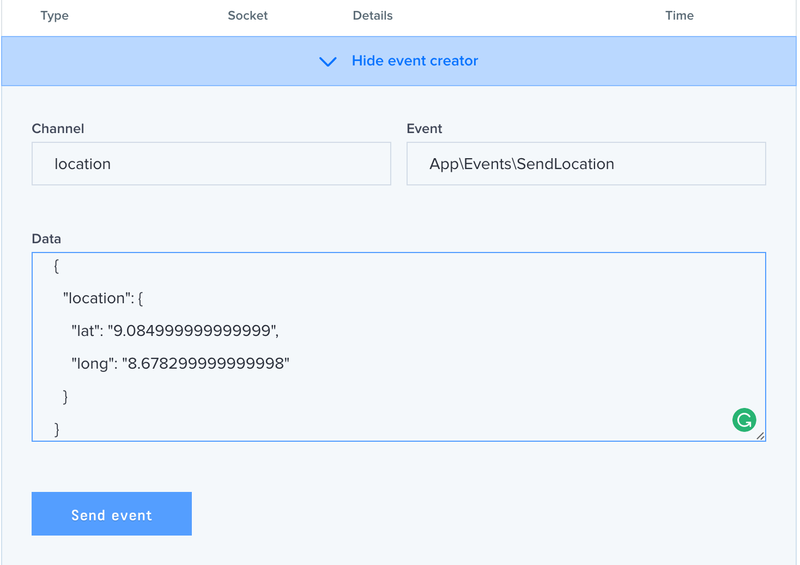 A cluster represents the physical location of the servers that handle requests from your app, therefore selecting a cluster closer to your location will mean faster response. When you've done, click the "Create my app" button. Next, navigate to the "App Keys" tab on the dashboard to see your application keys. Note your application keys because we will be using them later in this tutorial. Navigate into the directory where you would like your apps to be and install Laravel via composer by running the following command in your terminal. Add pusher-php-server to the required dependencies of your composer.json file so that it looks similar to this. Next, run the following command to generate a Laravel secret key. We will be using a public channel to make this tutorial as simple as possible, so we won't be changing anything else. Finally, we move over to our app.component.ts file to add the code which will render Google Maps on our HTML page. Next we add the code which listens to the event and updates the map when the coordinates change. Note that the above function is assuming that the Laravel application is accessible via 'http://localhost:8000', you can update the serverUrl to your own configuration. We have successfully created a real time map which will be updated when new coordinates are sent to the endpoint on our server. You could use this to track the location of almost anything - but remember, if you are using this in production, you should consider privacy needs and build that functionality in. You can find the complete project in these repositories angular app and laravel app.